Although dental implants have been available as a tooth replacement option for decades, new technologies and techniques are always being developed to make the process more convenient, predictable, and accurate. One of the latest advancements is the use of robotic systems to assist in the dental implant placement procedure. Robotic guidance systems, such as the FDA-approved Yomi®, will help streamline the process of planning and placing dental implants at a time when demand for this modern tooth replacement option is steadily increasing. Patients will benefit from shorter treatment times and more accurate results. So, how does Yomi work and how will it change the implant procedure? Yomi® is the world’s first robot-assisted dental surgical system. This computerized navigation system, or robotic system, is designed to assist the dentist throughout the implant process, from planning to surgical implant placement. During the planning stage, the dentist creates a CT scan of the patient’s mouth using the Yomi® splint. Then they will analyze the scan and plan the surgical procedure, both with assistance from the robotic system. During surgical placement of the implant, Yomi® provides physical guidance by holding the drill in the preset position, orientation, and depth. The system utilizes haptic feedback, providing resistance to guide the surgeon’s hand position to ensure it doesn’t deviate from the surgical plan. The dentist is ultimately in control, however, and can alter the surgical plan during treatment as needed. And unlike traditional procedures where the surgical guide and other equipment can get in the way, the robot allows for a real-time unobstructed view of the surgical site for a more accurate procedure. How Will Yomi® Change the Dental Implant Process? Yomi® is set to revolutionize implant dentistry with its ability to produce real-time visualization and an unobstructed view of the surgical site throughout the procedure. It will greatly improve accuracy and ensure an optimal surgical outcome. Patients can rest assured in the added level of safety knowing that the system is guiding the surgical process. Yomi® eliminates the need for plastic drill guides which can block the dentist’s view of the surgical site and slow down the placement process. Ultimately, use of the Yomi® robotic system will result in less time in the treatment chair, better outcomes, faster recovery time, and more affordable dental implants. If you have missing teeth and would like to see if dental implants are the right restorative choice for you, contact Dr. Chaudhry in Bethlehem, PA, to schedule a consultation. 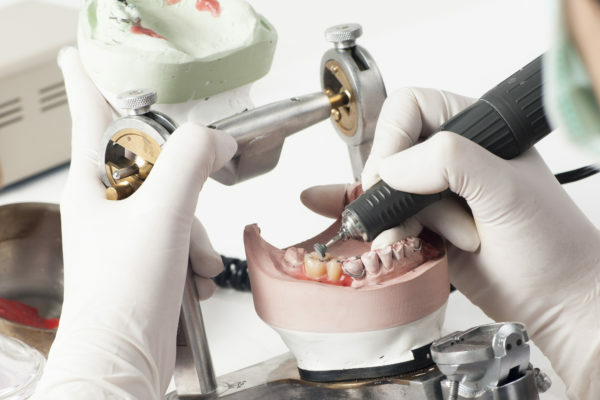 At Lehigh Valley Oral Surgery & Implant Center, we are dedicated to bringing you the latest technology and techniques to make sure you receive the best restorative dental care available. Schedule your appointment today!